Journalists and watch enthusiasts are currently flocking to a usually-sleepy corner of Switzerland for the largest and most impressive watch show in the world - Baselworld 2019. Starting with the Yach-Master 42, which brings a new size to the range. It's equipped with a new-generation calibre 3235, crafted from 18ct white gold, and fitted on an Oysterflex bracelet. Finally there's the GMT-Master II. This is arguably the highlight of Rolex's new watches. Last year we saw the red and blue 'Pepsi' GMT-Master updated, and this year we get the blue and black 'Batman'. Just like the Pepsi, it's fitted with a stunning Jubilee bracelet and new-generation calibre 3285. Tudor had big shoes to fill after last year's Baselworld, where it launched the (T3 Award winning) Black Bay GMT. This year, it unveiled the Black Bay P01, a watch based on a legendary prototype developed in the late 1960s for the US Navy. It's waterproof to 200 metres, and is fitted with a domed matt-black dial with painted luminescent hour markers. Respecting the utilitarian aesthetic of the prototype that inspired it, the case is entirely satin-brushed for a matt finish. Hublot's novelties at Baselworld 2019 mostly centred around its partnership with Ferrari (so much so its stand has a car in the middle of it). But it's the latest Classic Fusion Orlinski which caught our eye. The watch case and faceted dial plays with light and shade, which is an aesthetic signature of artist Richard Orlinski. The 40mm case is available in titanium or King Gold, transforming the piece into a jeweller's objet d'art. With its innovative "Zenith Oscillator" that replaces the traditional sprung balance, the Defy Inventor is an ultra-precise timepiece built for reliability and stability. The German watch brand also announced a set of new, affordable watches for smaller wrists, called "Duo". These 33mm watches are simple, elegant, and make ideal gifts. Seiki brough a number of new watches to Baselworld 2019, mainly focusing around the brand's Proxpex range. The piece that really stood out for us is the glorious re-creation of Seiko's 1970 diver's watch. This year's model is slightly larger than the original but is faithful in every other respect to its design. Of course, it's been completely updated inside, incorporating the caliber 8L35 which was specially designed for use in diver’s watches. Maurice Lacroix has already released a number of watches earlier in the year at SIHH, but it held the Aikon Venturer back for Baselworld. 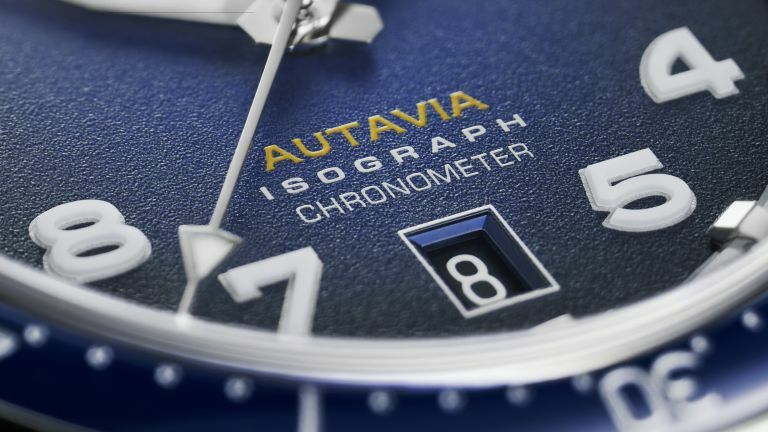 This sporty watch is "designed for the intense, fast-paced life of major metropolises". It features an automatic movement and the stainless steel case measures 43mm. It's available in two colourways: an understated grey and black, or a retro blue and orange (representing sun and water). Both of these calibers have the signature glide motion seconds hand, reflecting "the natural and continuous flow of time". All offer one-second-a-day precision and a long power reserve, thanks to the dual main-spring design of both calibers. This chronograph from the Lucerne-based watchmaker features a large date display, an annual calendar, and a distinctive BiCompax dial design. It's available in either stainless steel or 18 k rose gold, each limited to 888 pieces. Victorinox has drawn inspiration from firefighters for it's latest limited edition watch, the I.N.OX. Carbon. The watch looks ready for business, with a beautiful (but strong) carbon case and dial, bright neon para cord strap, and yellow and red details. T3's favourite launch was the partnership with British motorcycle company Norton with the introduction of the Breitling Premier B01 Chronograph 42 Norton Edition (pictured above). It's powered by the Breitling Manufacture Caliber 01, which is COSC-certified.